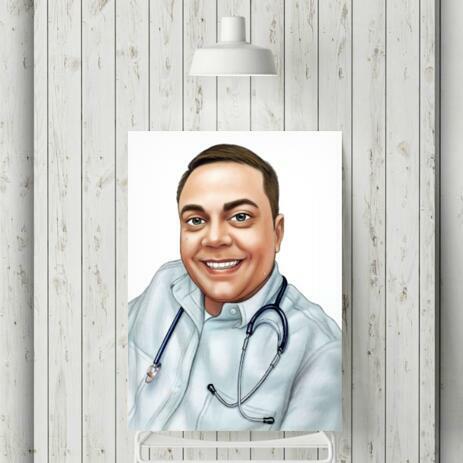 Whether you are looking for a cheap, simple and original keepsake or an item for a wall decor, then a printed portrait drawing will be the best idea for you. Photolamus will draw a personalized portrait drawing from photo of any person, for example you or your boss, colleague or family member, which will be printed on a qualitative Fujifilm Archive Paper, which will make a ready-to-be-framed gift or a keepsake. Printed Portrait Drawing can be gifted to anyone in honor of Birthdays, Professionals Days or on any other special occasion upon your wish. In order we could meet all of your expectations, please send us the most favorite and qualitative photo of a person and describe your requirements below. Worldwide shipping is available.